The tiered 65k Rapid Rewards sig-up bonus on the Southwest Rapid Rewards Priority Card is scheduled to end this Wednesday, August 22. What it will drop to I’m not sure, but if you want the ability to earn 80,000 Rapid Rewards for spending $15,000–65k bonus, at least another 15k for non-bonused spend to unlock the bonus–then apply by Tuesday, August 21. Chase released a new Southwest co-branded credit card called the Southwest Rapid Rewards Priority Card. It comes with more benefits than the Southwest Rapid Rewards Premier Card ($99) in exchange for a higher annual fee ($149). Below we’ll look at the benefits package, who’s eligible, how the card stacks up to existing Southwest consumer credit cards, upgrading, and how this card fits into your strategy for earning a Companion Pass. Sign-up Bonus: 40,000 Rapid Rewards for spending $1,000 within three months of opening the account. An additional 25,000 Rapid Rewards for spending $15,000 within a year of opening the account. Annual Southwest Credit: $75 per cardmember year. Category Bonuses: 2 points per dollar spent on Southwest purchases and Rapid Rewards hotel and car rental partner purchases. Anniversary Bonus: 7,500 Rapid Rewards after each account anniversary. In-flight Discounts: 20% off drinks, WiFi, messaging, and movies. Upgrades: Four Upgraded Boardings per cardmember year (subject to availability day of travel), which means moving your seats up to A1-A15 and boarding first. Elite Status Boost: 1,500 tier qualifying points (TQPs) for each $10,000 in purchases with a cap of 15,000 TQPs per cardmember year. 35,000 TQPs = A-list Status; 70,000 TQPs = A-list Preferred. 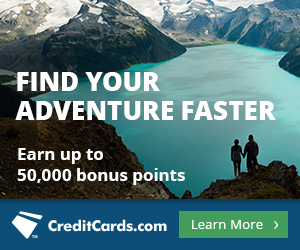 Eligibility: Chase 5/24 rule applies, as well as the one consumer Southwest co-branded card per person rule. Fees: $149 annual fee, no foreign transaction fees. The Waimea Canyon on Kauai. Southwest is launching routes from the west coast to four Hawaiian islands either at the end of 2018 or beginning of 2019! They are holding an event August 7 in Honolulu, when we can expect to hear further details about the commencement of service. You can earn a total of 65,000 bonus Rapid Rewards for spending $15,000 within a year of opening the Southwest Priority Card. With the spending it takes to unlock both bonuses, you would end up with a total of at least 80,000 Rapid Rewards not considering any category bonus points. The Chase 5/24 rule applies to eligibility for the Priority Card, meaning that if you’ve opened five or more consumer credit cards from any bank (or business cards from Capital One), they will deny you for the majority (but not all) of their lucrative rewards travel credit cards. Don’t know your 5/24 total? Read this post to learn how to check. If you already have a consumer Southwest credit card open–the Plus or the Premier–you are not eligible for other consumer Southwest credit cards, including the new Priority Card. You are also ineligible for the bonus on a Southwest consumer card if you have earned a bonus on another one in the last 24 months. This 24-month clock is not defined by when you opened a consumer card, but rather when you actually earned its bonus. The business card is separate from the consumer cards for the purposes of this rule. You can open and hold any one Southwest consumer credit card along with the Southwest Rapid Rewards Premier Business Card. All three cards earn a 2x category bonus on Southwest purchases. Let’s say you don’t necessarily want to spend an additional $14,000 for the extra 25k bonus points on the Priority Card. That would make the sign up bonus on all three cards equal. Would the Priority Card still be worth it over the other options with cheaper annual fees? Priority vs. Premier: If you see yourself spending $75 with Southwest within a cardmember year, then the Priority Card’s $75 statement credit benefit brings the effective annual fee down to $74. That fact alone makes the Priority a better card than the Premier, which has an annual fee of $99. You will get an extra 1,500 anniversary bonus points each year (7.5k instead of 6k), four upgraded boardings, the in-flight discount, and 2x on Rapid Rewards hotel and car rental partner purchases and you’ll be paying $25 less than you would to get none of those benefits. Priority vs. Plus: Again assuming you’ll spend $75 Southwest, you’ll get 4,500 more anniversary bonus points each year (7.5k instead of 3k) plus all those other benefits for paying $5 more a year in annual fees. For reference, Southwest Rapid Rewards prices are revenue-based and the points are worth ~1.4 cents each. There are other ways to look at the Priority Card–like if you highly value the four upgraded boarding credits–but I think the simplest way to compare the cards is to ask yourself if you’ll spend $75 with Southwest in one cardmember year. Note that upgraded boardings and in-flight purchases don’t count towards the $75 in statement credits. If you will, it’s a no-brainer. If not, you’ll need to take a closer look at the other benefits to determine whether or not they’re worth it. If you already have a Premier or Plus card but think this new card is worth the increased annual fee, you can always upgrade. If you upgrade and make at least one purchase by September 30, 2018 you’ll get 5,000 bonus Rapid Rewards. Upgrade through this link for the bonus (tip of the hat to Doctor of Credit). Should the Priority Card be a part of your strategy to earn a Companion Pass? First let’s go over some basics: what the Companion Pass is, how you earn it, and the various co-branded Southwest cards issued by Chase. What is the Companion Pass? If you have the Southwest Companion pass, you can designate a companion who flies for just the taxes on every Southwest flight you fly. That’s $5.60 each way within the United States and a bit more on Southwest’s international routes. How do I get one? By earning 110,000 qualifying points in a calendar year. You will earn the Companion Pass for the calendar year in which you earn the qualifying points + the following year. Therefore, to maximize the amount of time you hold a Companion Pass, aim to earn the 110k points as close to the beginning of a year as possible. Points that qualify are primarily earned either by flying paid Southwest flights or through credit card spend. You can read about other (albeit slower) ways to earn qualifying points here. The fastest and easiest way is through credit card spend for sign up bonuses. The Chase Southwest Cards: In addition to the three consumer cards in the table above, Chase also issues the Southwest Rapid Rewards Premier Business Card, which consistently offers 60,000 bonus points after spending $3,000 in three months, 6,000 bonus points each year you renew, and has a $99 annual fee. Whether or not opening the new Priority card and spending for the full 65k bonus should be a part of your Companion Pass strategy depends on if you can open a Southwest Business card. Not sure if you can? Read How to Get Approved for Business Cards. Yep, I can open business cards. Then no, the Southwest Priority Card is not necessarily the fastest way to reach the 110k points needed. You’ll earn at least 63k Rapid Rewards for meeting the minimum $3k spend on the business card, leaving you needing–at most–another 47k Rapid Rewards. 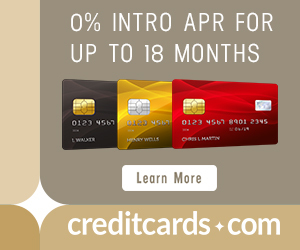 As the current offers stand, you’d earn at least another 41k points from spending $1,000 on any of the three consumer cards, meaning you’d need to either spend another $6k (not considering category bonuses) and/or earn them via methods outlined in this post. Spending another $6k on any of the consumer cards will earn you (more or less) the same amount of Rapid Rewards: 6,000 of them. So if you are specifically opening the Business card + one consumer card for the purpose of earning the Companion Pass, there isn’t much of a difference between the three. Whether or not you choose the Priority should be based on the factors outlined in the Priority vs. Premier vs. Plus section above. No business cards for me. If you can’t open business cards, however, the Southwest Priority Card could be helpful for earning those 110k qualifying points faster. Due to Chase eligibility rules, you will only be able to open one of the consumer cards. Spending $15,000 on the Priority Card will earn you at least 80,000 Rapid Rewards (65k for both bonuses and at least 15k in non-bonused spend). That’s 30,000 Rapid Rewards away from a Companion Pass. Spending $15,000 on the Premier or Plus Card will earn you at least 55,000 Rapid Rewards(40k for the bonus and 15k from non-bonused spend). That’s 50,000 Rapid Rewards away from a Companion Pass. The bonuses on the $69/year and $99/year Southwest cards have, in the past, intermittently increased to 50k and sometimes 60k. I’m not sure how the introduction of this more premium Southwest card is going to affect that pattern. I would guess the 50k and 60k bonuses are less likely, at least for the time being, as they wouldn’t want to detract from the appeal of this latest card. I hope we see elevated bonuses return later in the year, especially for those wanting to earn the Companion Pass for all of 2019 and 2020. The Southwest Rapid Rewards Priority Card is likely going to be worth it for frequent Southwest fliers. The annual fee of $149, which is $50 more than the Southwest Premier Card, is easily justified if you see yourself making back the $75 statement credit. Just don’t apply if you’re maxed out on new accounts as the 5/24 rule applies. If the Companion Pass is on your radar, and you plan to earn it mostly through credit card bonuses/spend, then the Priority Card is a big leg up to reaching the necessary 110k qualifying points if you are not also eligible for the business card. If you can open a business card, then it doesn’t really matter which consumer card you get in regards to earning the Companion Pass. All three will likely get you there at about the same time. Pick the card that makes the most sense for you as a Southwest flier. I went over that new rule in the eligibility section, and also said in the Companion Pass section that due to eligibility rules, a person can only open one Southwest consumer card. I got the dreaded “we will let you know within 30 days” from chase after I applied. If they approve me after Wednesday (8/22), will I still receive the 65k? For sure, as long as you meet the minimum spending requirement. All that matters is that you actually apply before the bonus end date, not that you’re approved. In other words, you always qualify for the bonus that was effective the day you applied.